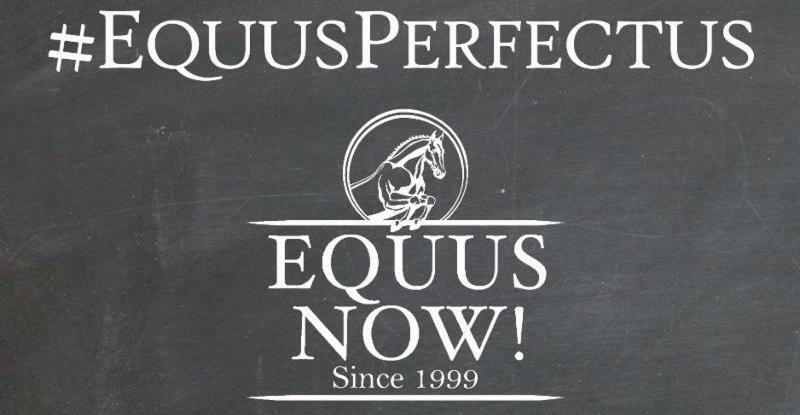 N ews from Equus Now! We've been SUPER BUSY unpacking boxes at Equus Now! Hundreds of NEW ARRIVALS are IN STOCK and on the Sales Floor. We've sourced out so many COOL, new items from your FAVORITE Manufacturers and they are all under 1 roof! Time for some Retail Therapy! Here's just a TINY Sampling of a few new products. Make a plan to stop in SOON for the BEST SELECTION. SPRING is the best time to RIDE and SHOP in Central Ohio! For treatment and prevention of brittle and shelly hoofs, hard frogs and soles, contracted and split heels. Brand new line from Tekna available in Open Front and Ankle Style in both Black and Brown. Well Priced! The latest whips, crops and bats from FLECK are now in stock. 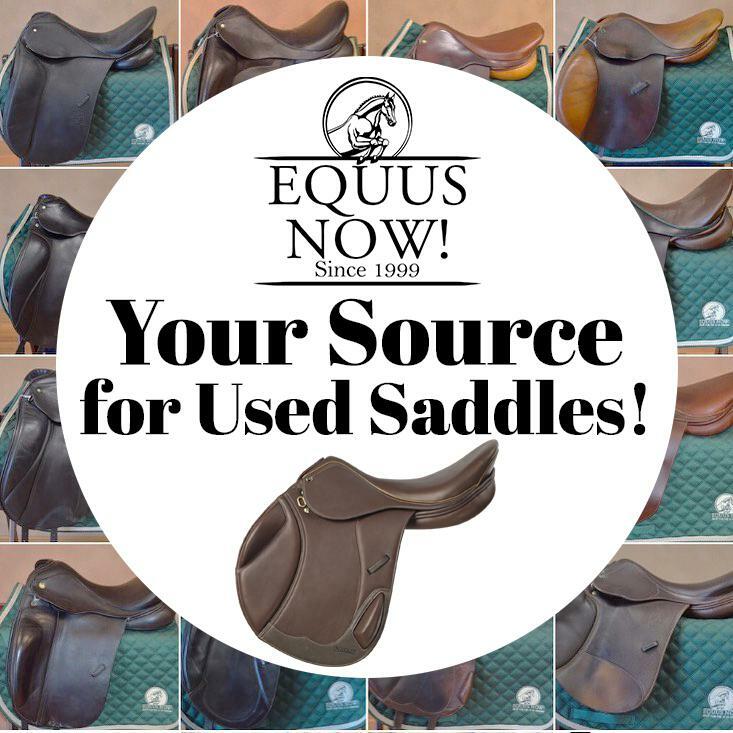 100+ Used Saddles in stock! Shop our HUGE Collection of gently used saddles from your favorite brands. Take one out on TRIAL today! Available in REG Neck or COMBO Neck Styles. The Perfect Grooming Glove for Shedding Season. Great for use on DOGS too! From DRAFT Sizes to MINIATURE - we have hundreds in stock! Well Made & Well Priced! Available in Open Front, Ankle, Fleece Lined and Brushing Boot Styles. $ 10 from EVERY Shirt Purchased goes DIRECTLY to Danny & Rons Rescue! Beautiful Styling for under $ 150! Available in Choc Brown, Black and Navy Blue. Children's Sizes also! Indie Designed ONE HORSE THREADS has created some fabulous new designs for Spring! No waiting necessary! We are now STOCKING this very popular CUSTOM Color Combination in several sizes. Want BLING in the Show Ring? Look no further than the BRAND NEW Pikeur Roxette Show Coat. Only $ 19.95 & available in a variety of colors! We LOVE the fit and style of this brand new model from Ovation. And SO well priced too! Back by Popular Demand! Check out the BRAND NEW Anti Fungal Shampoo. It's been FLYING off the shelves! All a girl needs is a little black dress and a big fancy horse! So True! So many to choose from, These handmade Cuff Bracelets make the PERFECT Gift! Love Wine? So do we! We found these AMAZINGLY Scented Candles made from recycled wine bottles! How Clever? Locally Made and Fabulously Priced! Sport your LOCAL PRIDE at home or at the shows! Only $ 9.95 while they last. Locally Made and only $ 40! "What is is like to be ridden?" Check out his blog or ask you own question on his Facebook Page and get answers right from the horse's mouth! Rocky and his friends work with PBJ Connections to provide mental health therapy to local youth and families. LRC Farm has a limited number of stalls available for boarding. Located on 23 acres in southern Delaware county, only minutes from Powell, Worthington and Dublin. LRC Farm offers individualized care of each horse based on the owner's requests. Rubber matted stalls are 12 x 12 and come equipped with high velocity fans and most have paddocks attached. There are 4 grooming areas and a heated wash rac k. All boarders have access to tack lockers. Amenities include a 110 x 210 lighted all weather outdoor ring and a 80 x 160 indoor sand ring. Self insured trainers are welcome to bring their clients. There are trails which run along the back of the property. Lovely Grass Pastures for all day or all night turnout. Free choice timothy, grass,and alfalfa hay. Well lit free trailer parking is available. Owner/Manager lives on property. Call to schedule an appointment to tour this facility 740-972-5783. Your horse will LOVE it here!